Well I think it’s officially Autumn here in the UK. Yesterday I would have been here pontificating how I love this time of year. How crisp everything is at this time of year and how beautiful the colours of the sky are in these sunny mornings. And genuinely that’s how I was yesterday! The sky was a beautiful blend of blue and pink and it would’ve been worth a photo. However I wasn’t quick enough with the camera to be able to capture it. By the time I had dug the camera out I had gone into the shadow of the mountain so couldn’t capture the view. Such a shame but never mind! Today however the weather is typically British. Wet, dark and miserable! As evidenced by this photo I took on the way home. 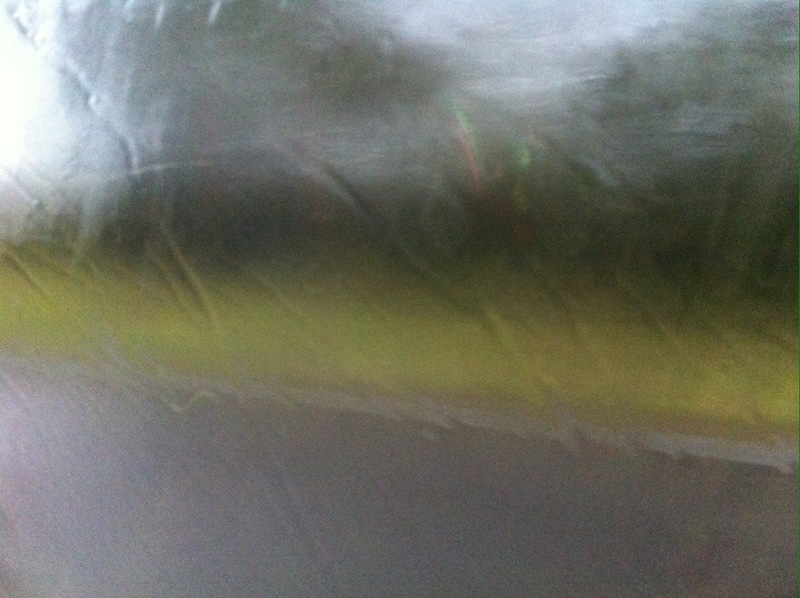 As you can see it was so miserable the bus windows had steamed up! Leaves have started falling off the trees and getting everywhere. The side of our house is covered in leaves. The leaves have come from next doors trees as our leilandis never lose their foliage. I’m going to have to get the hubby to brush the leaves away before it clogs the drains again. Also because it’s been damp recently he hubby hasn’t been able to cut the grass. It’s so long now! For some reason Gemma has decided that she likes to go outside in the dark to forage through the long grass. This means she comes in cold with wet paws and wet ears! But least it’s not muddy paws!